Once you experience the LMI Process for yourself, you will be asking us to implement an organization-wide solution for creating a more productive and goal-directed culture, capable of achieving measurable and sustainable results year after year. The LMI Organizational Development Process™ is unique in its ability to utilize LMI's proven assessments, planning tools, and Total Leader® development process -- into one consistent and sustainable implementation model. 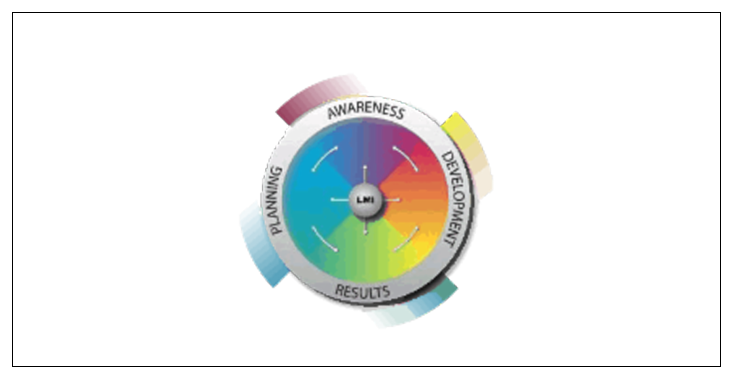 The LMI Organizational Development Wheel signifies a continuous improvement and development process that we use as the basis for an organization-wide implementation of the LMI process.